Is Golar LNG Limited (USA) (GLNG) A Good Stock To Buy? The Insider Monkey team has completed processing the quarterly 13F filings for the September quarter submitted by the hedge funds and other money managers included in our extensive database. Most hedge funds have been producing disappointing net returns in recent years, however that was partly due to the poor performance of small-cap stocks in general. Well, small-cap stocks finally turned the corner and have been beating the large-cap stocks by more than 10 percentage points over the last 5 months.This means the relevancy of hedge funds’ public filings became inarguable, as they may reveal numerous high-potential stocks. The following article will discuss the smart money sentiment towards Golar LNG Limited (USA) (NASDAQ:GLNG) . Golar LNG Limited (USA) (NASDAQ:GLNG) has seen an increase in support from the world’s most successful money managers lately. There were 20 hedge funds in our database with GLNG holdings at the end of the previous quarter. The level and the change in hedge fund popularity aren’t the only variables you need to analyze to decipher hedge funds’ perspectives. A stock may witness a boost in popularity but it may still be less popular than similarly priced stocks. That’s why at the end of this article we will examine companies such as Parkway Properties Inc (NYSE:PKY), Granite Construction Inc. (NYSE:GVA), and American Assets Trust, Inc (NYSE:AAT) to gather more data points. Now, we’re going to review the fresh action encompassing Golar LNG Limited (USA) (NASDAQ:GLNG). At the end of the third quarter, a total of 25 of the hedge funds tracked by Insider Monkey were bullish on this stock, a jump of 25% from the second quarter of 2016. 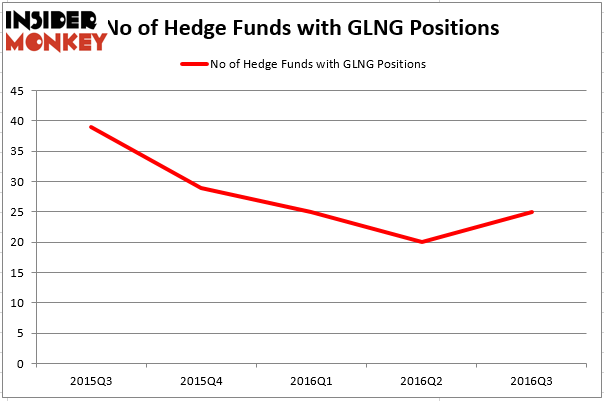 The graph below displays the number of hedge funds with bullish position in GLNG over the last 5 quarters. With hedgies’ sentiment swirling, there exists a select group of noteworthy hedge fund managers who were upping their holdings substantially (or already accumulated large positions). According to Insider Monkey’s hedge fund database, Israel Englander’s Millennium Management has the number one position in Golar LNG Limited (USA) (NASDAQ:GLNG), worth close to $79.8 million, accounting for 0.1% of its total 13F portfolio. Sitting at the No. 2 spot is Luxor Capital Group, led by Christian Leone, holding a $78.1 million position; the fund has 2.2% of its 13F portfolio invested in the stock. Some other members of the smart money with similar optimism comprise Christopher A. Winham’s Tide Point Capital, Anand Parekh’s Alyeska Investment Group and John A. Levin’s Levin Capital Strategies. We should note that none of these hedge funds are among our list of the 100 best performing hedge funds which is based on the performance of their 13F long positions in non-microcap stocks. How WCI Communities Inc (WCIC) Stacks Up Against Its Peers Hedge Funds Are Doubling Down On WSFS Financial Corporation (WSFS): What Do... 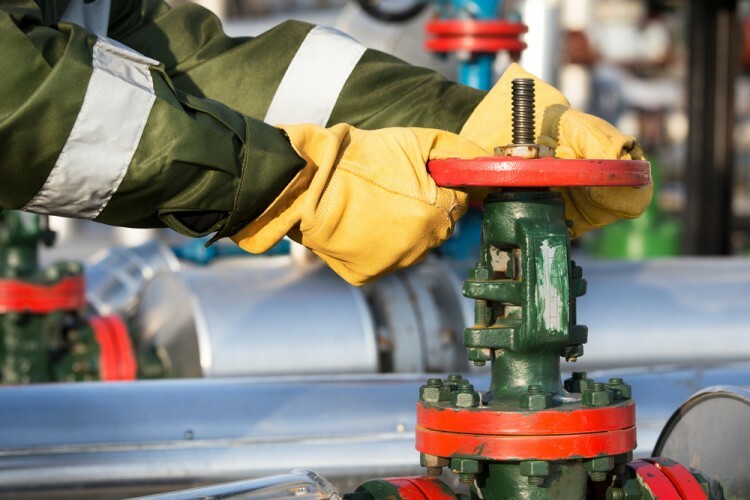 Hedge Funds Remain Unimpressed by POSCO (ADR) (PKX) Is Controladora Vuela Co Avcn SA CV (ADR) (VLRS) Going to Burn These Hedge... Xcel Energy Inc (XEL): Smart Money Ownership Continues to Dreadfully Lag Peers... Is Southern Co (SO) A Good Stock To Buy?